Welcome to The Miniatures Page, the home of miniature wargaming on the Internet. A "wargaming miniature" is a scale replica of a soldier or vehicle intended for use in a game. Here we cover everything from Ancient Egypt to the War on Terror, from haunted dungeons to dueling starships, from German panzers to Prussian lancers... and no historical era is too obscure! Illustrations by Polish artist Bartek Drejewicz and published by Polish lingerie store Intimo. These decks of cards feature pin-up girls in Napoleonic and XVIIth Century uniforms. Huzzah! is the annual historical wargaming convention organized by the Maine Historical Wargamers Association. Started in 2010, Huzzah! 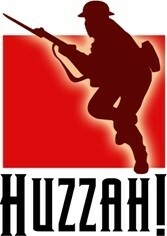 brings together wargamers and wargaming clubs from throughout New England. Approximately 350+ attendees visit the show, along with game masters, vendors, guests and casual passersby. Huzzah! consists of over 100 events spread across the three days, including tournaments (Impetus, Flames of War, Bolt Action), how-to painting sessions, presentations by authors and guests, and lots of terrific games. Our game masters, who hail from across the region, bring some of the most beautiful miniatures and terrain to the convention, and really well crafted scenarios. We are manufacturers of high quality, hand crafted table top terrain components. In business since 2003 we manufacture simply the best, most realistic, flexible, wallet friendly terrain on the planet. Our trademarked products include all FlexTerrain components including FlexRivers, FlexRoads, FlexStone fences, FlexWetlands, and many others. Our products are carefully crafted with your table top as our most important priority. We at Gamer's Grass are scale, fantasy and historical wargamers. As well as serious modelers that want the most realism out of our miniatures and our scenery. We started making grass tufts for our personal use. But soon enough, people started to ask about these magnificent shrubs and bushes that were part of our model basing. And thus Gamer's Grass was created. This Spanish company manufactures highly detailed miniatures for 28mm figures. Cast in high quality resin some of the items might require some assembly. All items are supplied unpainted. 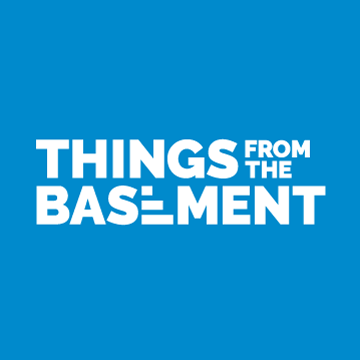 Currently there is only a select number of Tiny Tale Studio's items in stock at Things from the Basement. If you want something that is not available on my website just send me an email and I will get back to you with all relevant information (availability, price, delivery time). German manufacturer of a small range of 28mm metal World War II personalities. Inspired by real life and movies alike. Check out the blog for painting tutorials! 4Ground is one of the leading manufacturers of laser-cut buildings in the market. All their kits come pre-painted in a wide variety of colors and cover a huge range of model kits, including historic, fantasy and futuristic.